Maintaining an active presence on social media is key to any company’s survival. Whether you’re sending pictures on Instagram or tweeting updates on Twitter, taking advantage of these social sites can help businesses deliver virtual coupons, send company updates and digitally communicate with consumers. There are several ways to ensure your social presence is at the top of its game, but one of the easiest ways to maximize your reach is by mastering the hashtag. 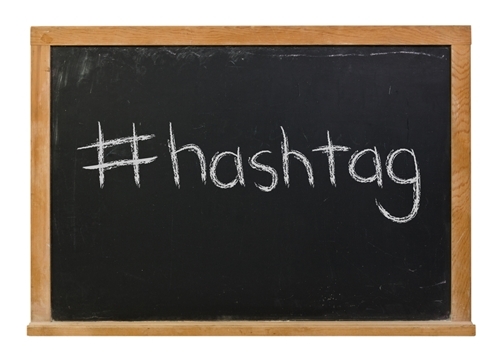 Some of the most popular networks use hashtags to classify information and separate trending topics. While not all sites use this tool, it has become an instantly recognizable symbol across the Internet. Twitter, Instagram and, to a lesser-extent, Facebook are the most popular platforms on which users can post updates with the hashtag. Companies can take advantage of this symbol by hopping on the bandwagon and using it within their posts. Since it is typically used to distinguish trends, businesses can ensure that they are staying current by posting to their pages. Twitter features a small box on the lower left-hand side of its homepage where users can read “Trends.” Typically prefaced by the hashtag, these items are hot topics on the Internet, meaning that the majority of Twitter users are writing about these things. Businesses should carefully monitor this box in order to best interact with their audiences, as they not only show consumers that they are culturally relevant, but they can also garner an impressive amount of attention with more creative tweets. For example, during the 2014 Grammy Awards, many posters used the phrase #GRAMMYs when tweeting about the event. Fast-food chain Arby’s quickly rose to Twitter fame when it posted about popstar Pharrell’s performance, or, more specifically, his hat. “Hey @Pharrell, can we have our hat back? #GRAMMYs,” the tweet read. Since it was posted January 26, the tweet has been favorited nearly 50,000 times and seen more than 80,000 retweets. Businesses should consider joining these massive online conversations by engaging with trending topics and encouraging followers to participate. While Instagram has not officially named themes for the days of the week, several posters to the site have adopted titles to use on these days. Some users post pictures of themselves on “#SelfieSunday” while others post pictures of an unbelievable change on “#TransformationTuesday,” but the most popular theme that has emerged is “#ThrowbackThursday,” which calls for pictures from a person’s past. Most Instagram, Twitter and Facebook users use this day to post images representative of their childhoods or notable younger years, businesses have recently discovered ways in which they can participate too. Business 2 Community reported that this hashtagged event is ideal for companies looking to spread information about their history or allow visitors to become more emotionally connected to current employees. The source noted that participation could show that companies are humorous, lighthearted and humanistic, allowing consumers to relate on a more personal level to the brand. Additionally, businesses can find a way to become creative with their posts, highlighting a different employee each week or posting pictures of the company’s earlier days. #ThrowbackThursday is perfect for companies to distribute promotional products as well, allowing them to hold contests among followers or giving out prizes to those that can accurately guess information from an old picture. Businesses can send prizes to followers that pertain to the event, including customized photo frames or promotional magnets with classic photos from the past. Combining promotional giveaways with an increased emphasis on ensuring the company is trending is a great way for businesses to maximize the impact they have on consumers from around the world.